Larissa + Ryan were so adorable to film! They're high school sweethearts who got married in beautiful South Lake Tahoe at the Aston Lakeland Village Resort, which I heard was their favorite place. And what better place to get married then at the place you love. They had a small ceremony on the beach where Allen was able to get some amazing drone footage and we were on hand to capture sweet moments between Ryan and his mother right before he said "I Do!" There wasn't a dry eye in the house when Ryan and Larissa read their own vows to one another as they became man and wife. While I paid close attention on filming the bride's reaction and Sean filmed the groom's, we knew we captured some touching moments. 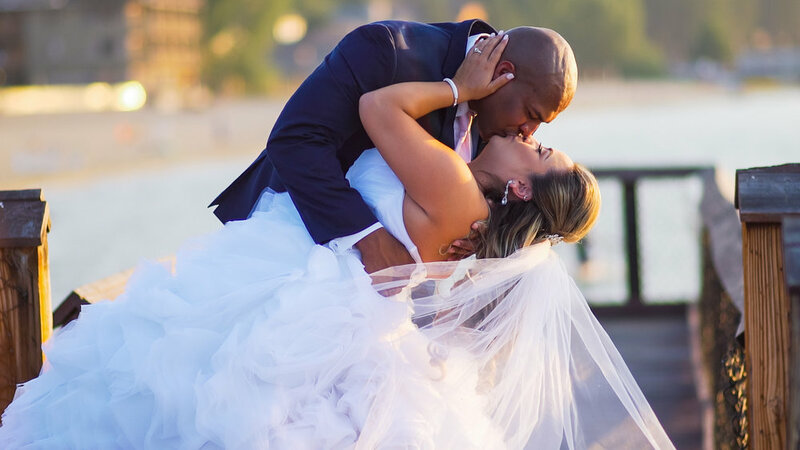 As an editor, I had the pleasure of creating their highlight and let me say, Allen did an absolute AMAZING job with the gimbal capturing Ryan + Larissa on the pier and the beach. It definitely made for some epic shots in showcasing their special day! Congratulations again to Ryan + Larissa!